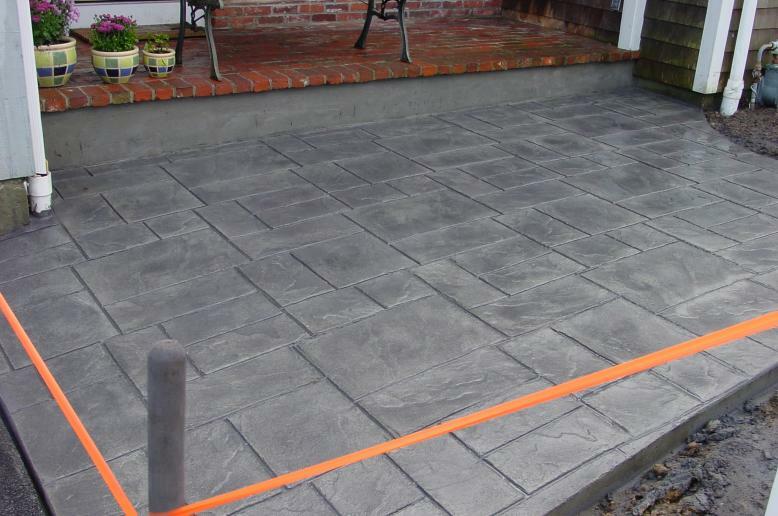 At Crescent DC our concrete patio contractors have over 16 years of experience and stay abreast of all the latest technological advances being made in the hardscaping industry. There’s never been a better time to install a concrete patio. The value for the investment is incredibly strong since concrete can withstand so much for so little required maintenance. The sky is the limit with design options since concrete is so flexible and friendly to numerous spaces. Endless color options and designs create a unique finish product that will be the envy of the neighborhood. Our experienced staff at Northern VA Patios & Construction will help you onsite throughout the Northern Virginia, Maryland and D.C. areas. You’ll benefit from our years of training and knowledge from the initial consultation and advice all the way through the installation prices. If your property needs some work, have our designers create a front and backyard design. 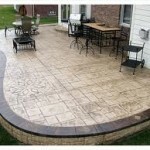 When choosing a concrete patio to that design, you have a long list of benefits that go along with it. Concrete patios are very affordable, they are extremely durable, and are as flexible as it can be poured in any direction or shape. Concrete will seep into any oddly-shaped areas. 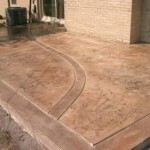 Concrete is pretty easy to install and to maintain. Once a week it will need to be washed with a large broom brush with soap and water. Other than that it will need to be resealed once a year. 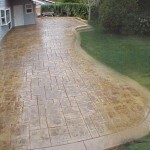 Homeowners who choose to use concrete for their patio have the option of creating really unique patio designs. As with many materials these days, concrete can be made to look like brick, stone, or even wood. 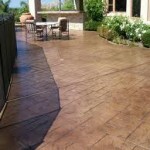 Many stains are now compatible with concrete and are available to create any concrete color desired. Now happens to be an excellent time to use concrete for your patio. When home sale pricing goes down so does the money you had hoped to make back to account for the cost associated with your patio. Because concrete is so inexpensive, with such minimal maintenance, making your money back is easier than ever. Endless color options and designs create a unique finish product that will be the envy of the neighborhood. Our experienced staff at Northern VA Patios & Construction will help you onsite throughout the Northern Virginia, Maryland and D.C. areas. You’ll benefit from our years of training and knowledge from the initial consultation and advice all the way through the installation prices. Contact us at Northern VA Patios & Construction for a free consultation at (703) 665-3545. We will come to your property, discuss you home project needs, take some measurements and give you a price quote that same day. We are proud to say that we have served the VA/DC areas for over 20 years. We also take care of Arlington County, Fairfax County, McLean, Clifton, Fairfax Station, Falls Church, Oakton County, Great Falls, Oak Hill Ashburn, Falls Church, Alexandria, and Burke. Those are just a few of a long list.